Definition: Akra is a large important site of the Achaemenid dynasty, located in the Bannu Basin south of Peshawar in what is today Pakistan. The site consists of a series of impressive mounds between 15 and 20 meters in height, and has been recognized as an archaeological site for more than 100 years. Occupations at Akra date between 2000 BC and AD 1200. Evidence in the form of seals indicates a connection with central Asia by the early second millennium BC. 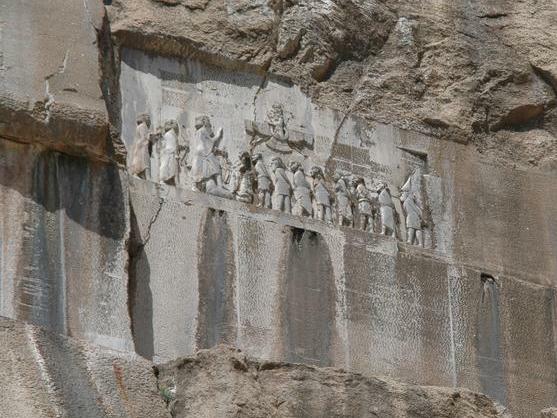 Iron Age occupations at Akra suggest it may have been the capital of the Thatagus region, mentioned in the Behistun Inscription as one of the territories acquired by the Achaemenid King Darius I in the 6th century BC. 1. (1.1-3.) I am Darius the Great King, King of Kings, King in Persia, King of countries, son of Hystaspes, grandson of Arsames, an Achaemenian.